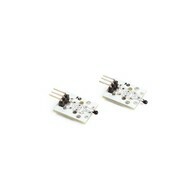 Arduino sensors are used to give the microcontroller even more functions. 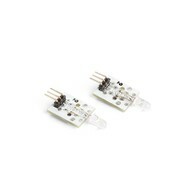 Sensors can extend the possibilities of the Arduino even more. 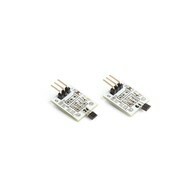 • 3-axis digital accelerometer - MMA7455: The MMA7455 accelerometer can measure acceleration in three axes. 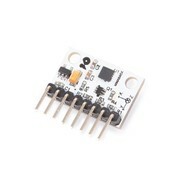 This sensor is available as a breakout board that you can connect to the Arduino. VCC, GND, SDA and SCL are required. 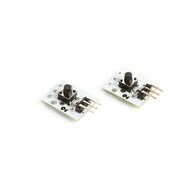 • Arduino Tinker kit Push button: the TinkerKit push button can only be used in combination with the Arduino TinkerKit Shield. 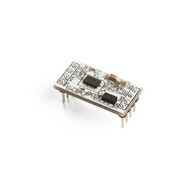 The push button module is possibly the simplest sensor on the market. When a person or object presses the round cap, this is detected by the sensor. 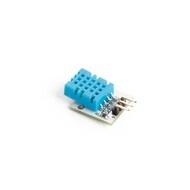 The module includes a push button (12 mm), the standard TinkerKit 3-pin connector, a green LED to indicate that the module is powered correctly and a yellow LED that only lights up when the button is pressed. When the button is pressed, the voltage of the module output is 5 V and 0 V if the button is not pressed. The circuit closes at the push of a button. When the sensor is connected to an input of the Arduino via the TinkerKit Shield, you can expect a value of 1023 if the button is pressed. If the button is not pressed, you will see a value of 0. 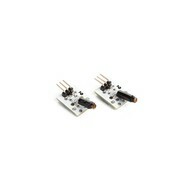 Order All Your Arduino Sensors Now at RATO Education! Would you like to learn how to program in a simple and affordable way? 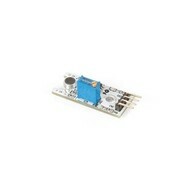 Arduino Kits are the perfect start for all your digital adventures! Experimenting, building robots, programming. 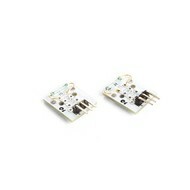 Thanks to the Arduino Sensors you can get even more possibilities from your Arduino. 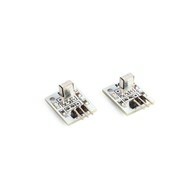 Order your Arduino Sensors at RATO Education, because we offer free shipping from € 100 and schools only pay after delivery!